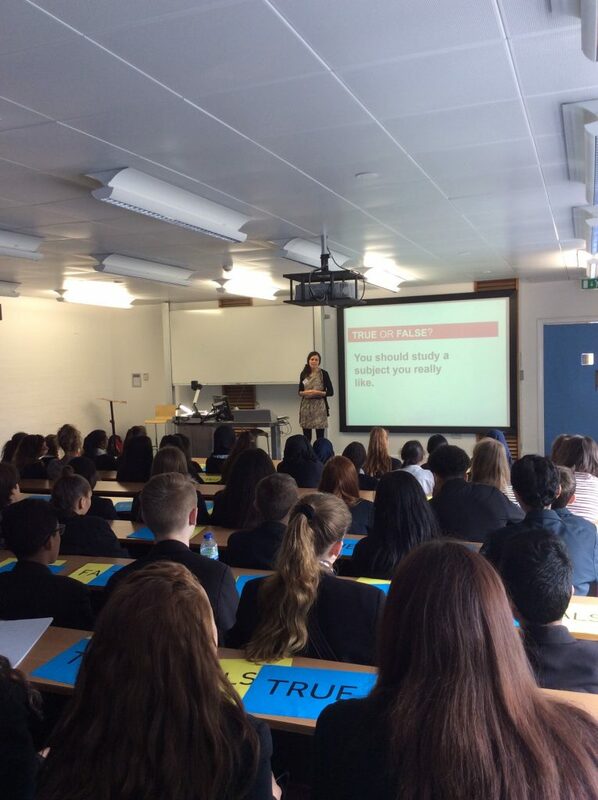 On Thursday 30 June, the University of Reading welcomed more than 50 Year 9 pupils from John Madejski Academy (Reading), Reading Girls’ School, and Beechwood School (Slough) to spend a day studying English Literature and Classics. Pupils participated in workshops spanning Greek mythology to contemporary poetry, looked at some ancient archaeological objects, and learned what was ‘True or False’ about university life. They also met some current and recent undergraduates and enjoyed a campus tour. my screams are still drowning. no matter what I say you won’t hear what you’ve been told. a monster born and killed no more. This entry was posted in Department of English Literature news and events and tagged Beechwood School (Slough), Department of English, Department of English Literature, Dr Nicola Abram, English Department, English Literature, John Madejski Academy (Reading), Reading, Reading Girls’ School, University of Reading. Bookmark the permalink.